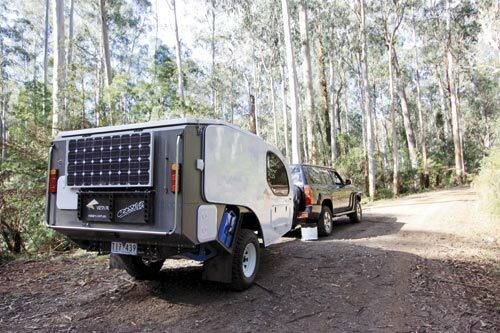 If you’ve just stepped into a camper trailer, chances are you’re champing at the bit to test it out. As a first-timer, it’s reminiscent of your first bike ride. Dad bolts on the training wheels and you take it easy for a while until you get a feel for it. The same goes for planning those first few camping trips with your new rig. 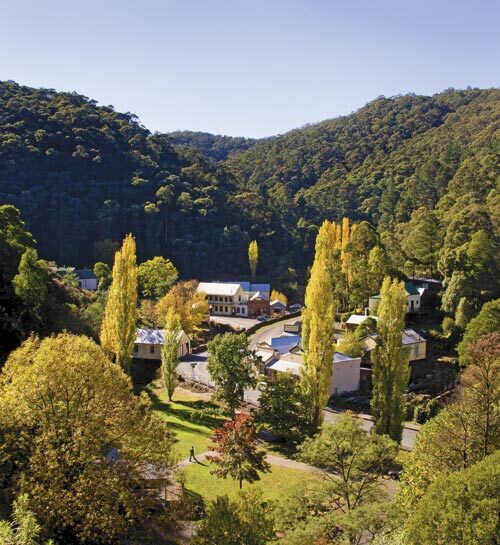 Destinations close to civilisation with plenty of family-friendly facilities like toilets, hot showers, activities, food, shelter and accommodation are perfect for newbies — just in case things don’t work out as planned. 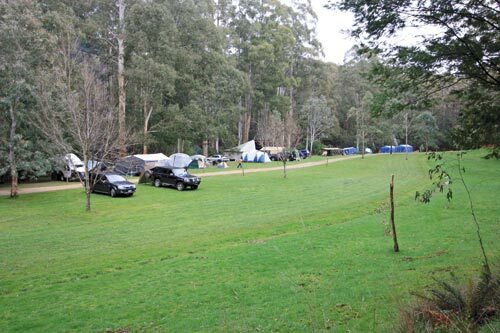 The Caringal Scout Camp in the lower Victorian Alps east of Erica fits the bill and like other Scout properties throughout Australia, it sits on a pristine parcel of wilderness for the ultimate bush camping experience. 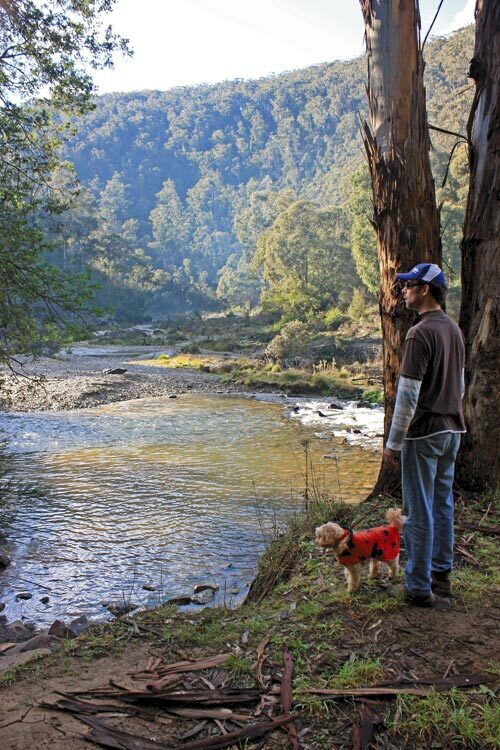 Nestled on three arms of the Tyers River and a cooee from the Mt Baw Baw Alpine Resort, it has unpowered and powered sites and you can even bring your dog. Sure, there are plenty of caravan parks where you can prop your camper, but if you are looking for something a little more intimate, this place is hard to beat. 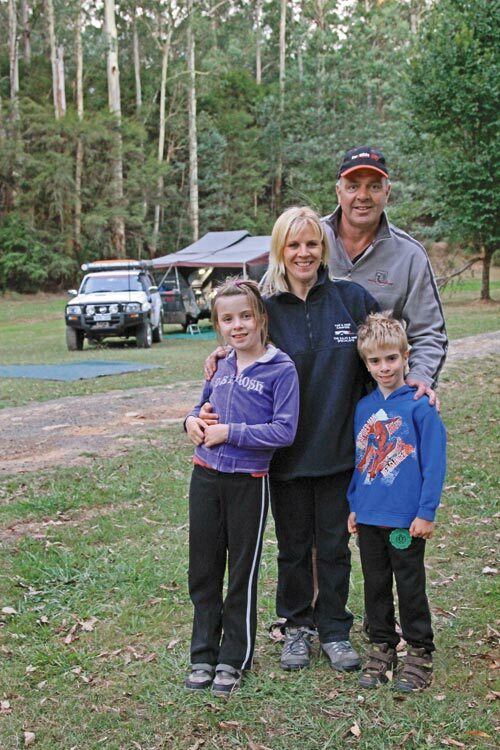 A few years ago we invited my sister and her family for a weekend at the Scout camp in their new camper trailer. 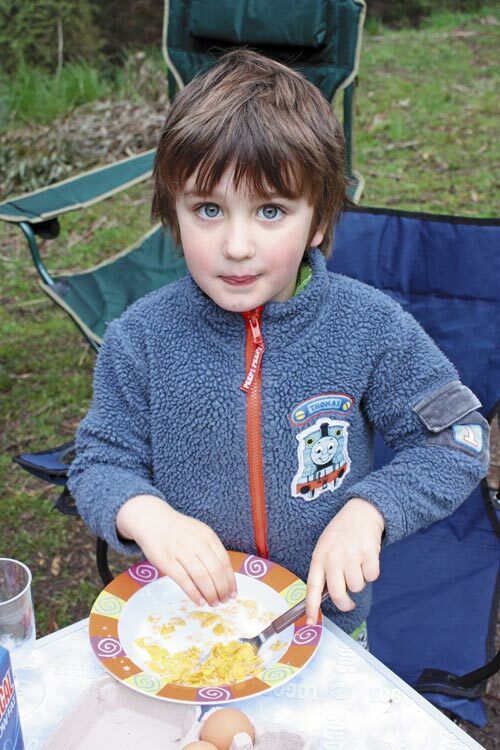 Darcy must have been about four at that time and this was to be his first camping trip. We ran a lead to the power box so they could run their fridge and use some other electricals, as their camper didn’t have an on-board battery. 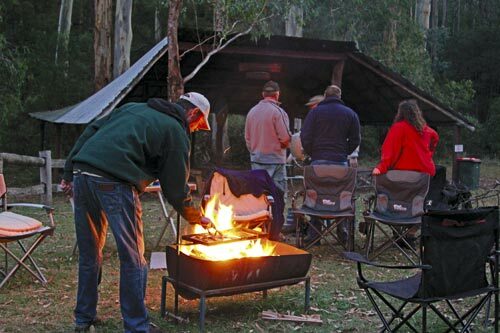 What a wonderful time we had camping beside the river, cooking over the campfire, exploring the native bushland on foot, sacrificing a few marshmallows and generally kicking back to soak up the surroundings. Perhaps the only limitation is the isolation of the camping area from the toilet facilities. The camp is down on the flat and the facilities are up on the hill, a couple of hundred metres away, so it’s worthwhile bringing along a portable toilet. 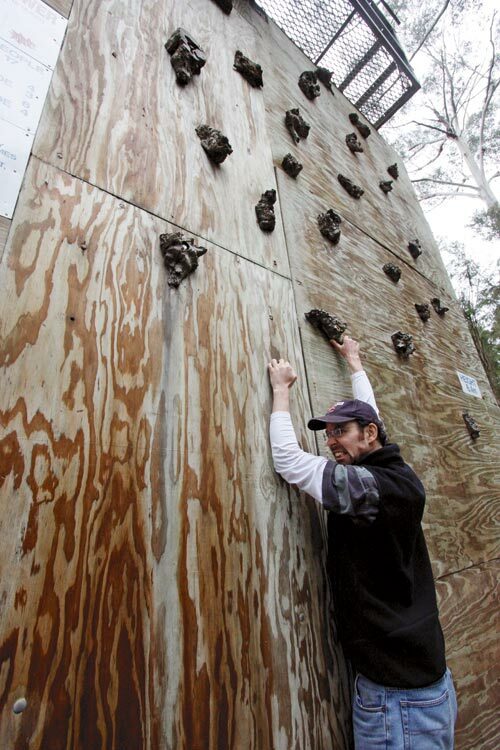 The facilities are what you’d expect for something built to a Scouts’ budget — it’s not exactly a five-star hotel but the showers are hot, the toilets clean and there are plenty of mirrors and washbasins. Campfires are permitted only in the 44-gallon drums supplied, supported on metal frames. Bring your own firewood or collect it outside the property. 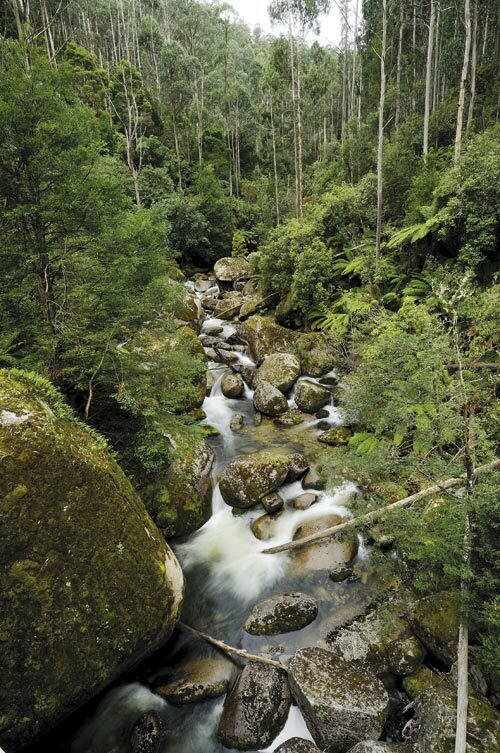 The Tyers and surrounding rivers are ideal for fishing, particularly trout, and there are often plenty of yabbies and freshwater crayfish depending on the time of year. 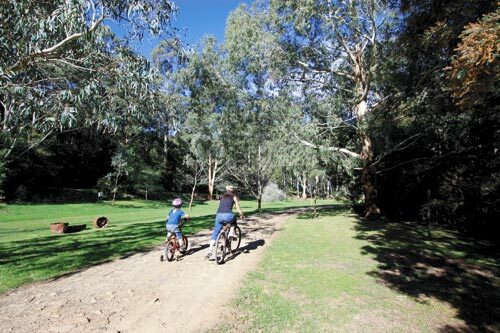 The tracks in the immediate vicinity attract mountain-bike riders and you’ll sometimes encounter school groups with a trailer full of bikes meandering down Telbit Road. 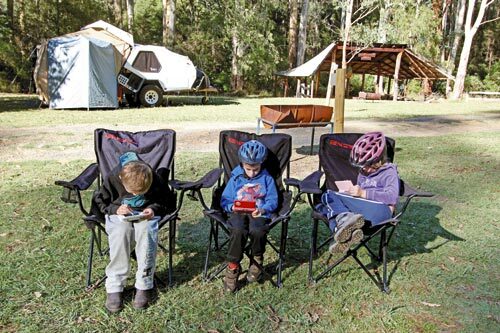 In fact, the whole Scout camp is an ideal area for the kids to ride their bikes. It is well off the main road and apart from the access trail which makes its way through the campground, the grasslands are soft, offering reduced scope for grazed knees and other injuries. Exploring the nearby Walhalla township and historic area is an absolute must. 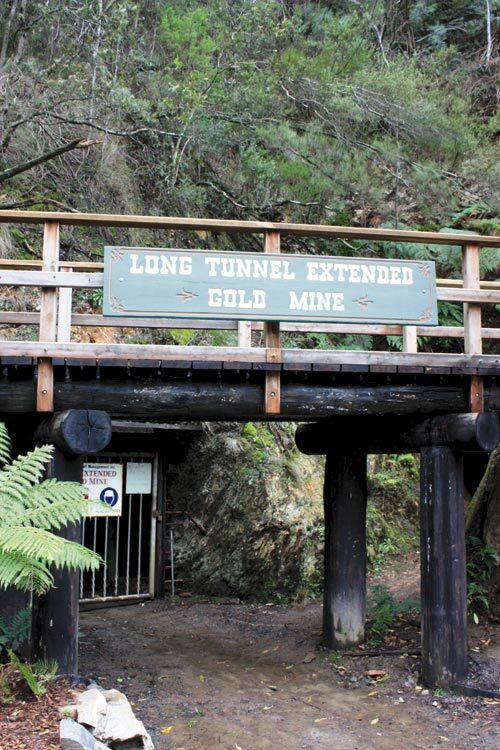 Walhalla was born from the gold boom in the 1860s. Entering the township is like stepping back in time, admiring the heritage buildings restored to the gold-era days by volunteers. There are mine tours and an elevated town walk along the old tramways. Just walk up the steps near the rotunda in the middle of town. 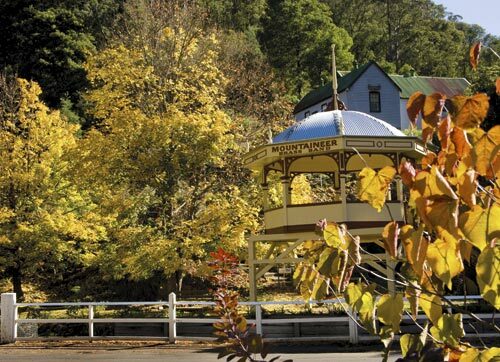 The Walhalla Goldfields Railway runs between the Walhalla and Thomson stations for an enjoyable 20-minute trip. 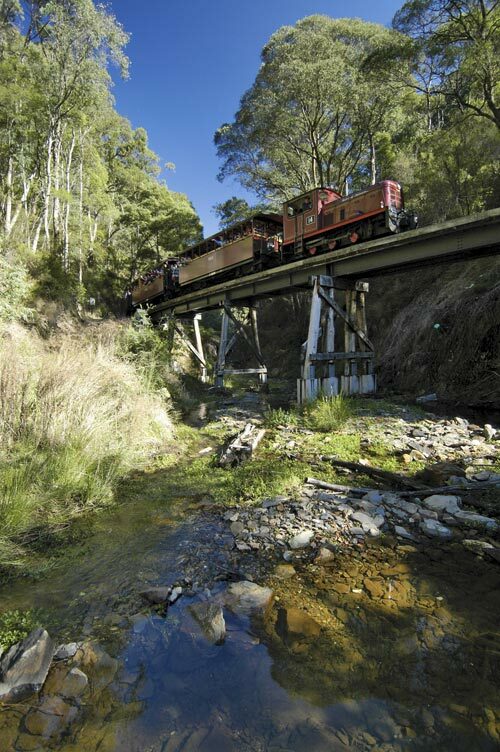 The journey travels through Stringers Creek Gorge crossing a number of large trestle bridges. You can even take the train one way and return on foot along the scenic walkway. 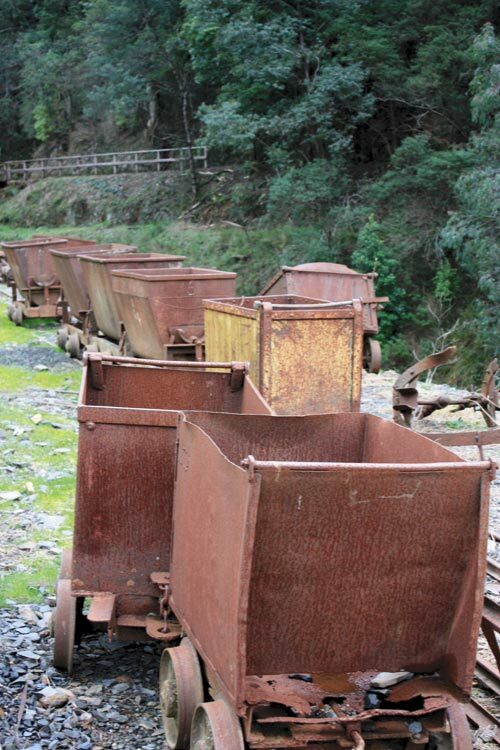 There are plenty of mine relics dotted throughout the hills. 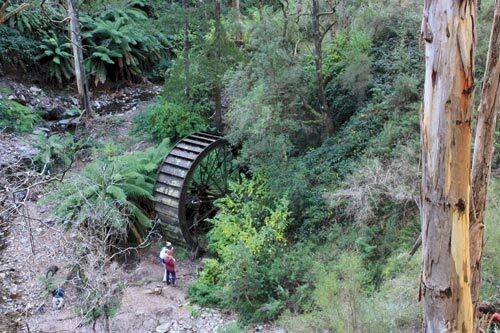 One year we discovered the copper-mine area off the Coopers Creek track, which runs off the Walhalla Road just south of Thomson Station. 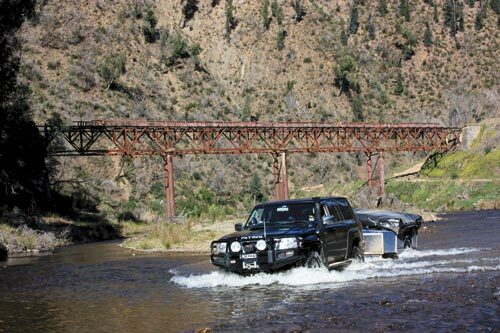 It passes some old gold workings, the Horseshoe Bend Tunnel and an old kiln before it meets a campground and the 4WD-only ford across the Thomson River at Stage 3 of the Canoe Trail. Once across the river the track climbs the range to meet up with Bruntons Bridge Road, which leads to an old steel bridge formerly used to transport stage coaches across the river. This is a great spot to make some lunch and snap some photos as you ford the Thomson River once more. 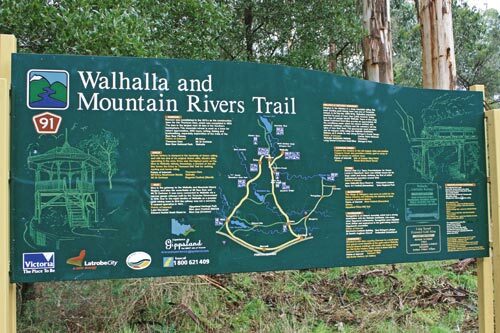 Rudi Paoletti from Adventure Maps has mapped this area extensively and his Walhalla Adventurer Tourist and 4WD Map is a great resource for exploring the area. 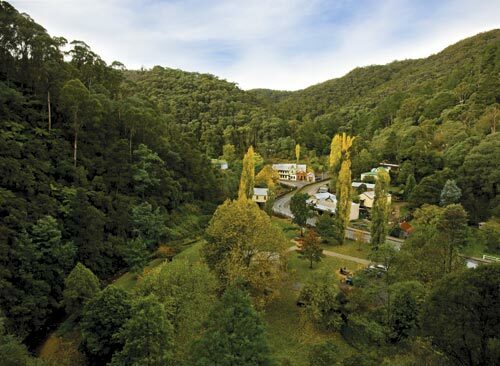 Near Walhalla, the adjoining Thomson State Forest is well populated with weekend trailbike riders that zing along the narrow tracks. Unlike the campgrounds in the state forests, the Caringal Scout Camp does not permit motorbikes, which only adds to the serenity. 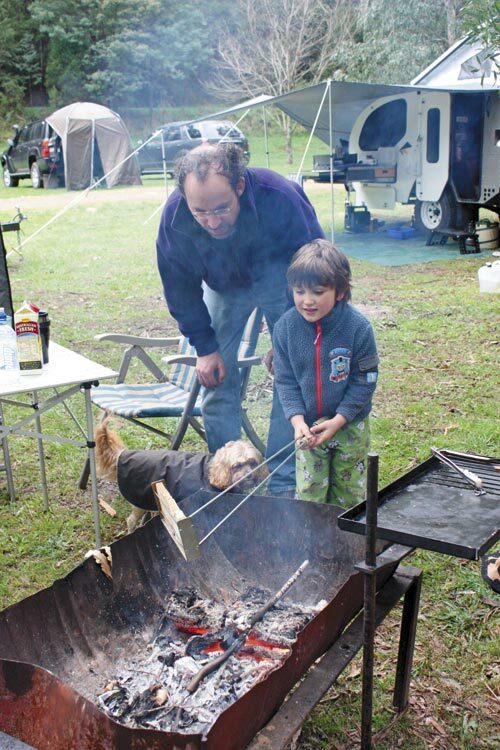 We have found Caringal to be one of the most tranquil family camping locations in Victoria. With the option of powered sites, showers and flushing toilets, you can reap the rewards of the location without necessarily roughing it. Erica is about 160km east of Melbourne accessed via the Princes Freeway (M1) to Moe and then north on the Moe-Walhalla Road (C466). If you like a few freshly baked goodies make sure you stop in at the bakery at Yarragon on the way through. 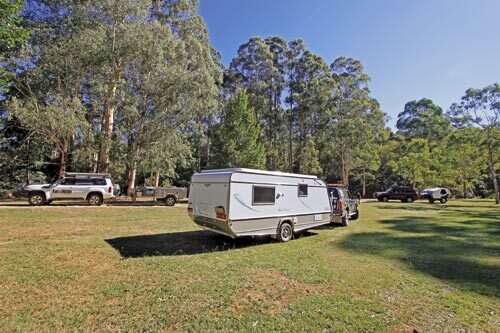 It’s adjacent to the main thoroughfare and there are good public toilets, a grassed area and dedicated trailer parking. The bakery sells a number of variants of the sticky bun with mouth-watering custard, jam and cream fillings. Be warned, there is always a queue. 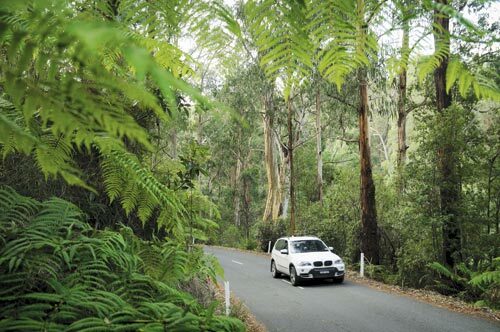 Once you leave the freeway at Moe it’s only a further 40 minutes’ drive, initially passing through pastoral properties before you hit the twisties and the sea of trees through the Moondarra State Forest and further north. It’s a beautiful route. About 3km before Erica, keep an eye out for Telbit Road on the left. There’s a sign on the right-hand side of the road pointing left to Caringal Scout Camp. Turn left here. If you miss the turn you’ll arrive in Erica. There’s a pub on the left and a caravan park on the right. Do an about turn and travel back 3km. From the turnoff it’s 6km of unsealed access which for the most part is smooth and easy going. Stick to the main road and take it easy as there are plenty of corners with limited visibility and the road is shared by other residents. Turn right at the T-intersection (bridge) and before long you are entering the Scout camp. Stop in at the office and the manager will explain the lay of the land. You’ll need to book in the main holiday periods and long weekends, but other weekends it can be very quiet. > Caringal Scout Camp is on Telbit Road, Tyres Junction. 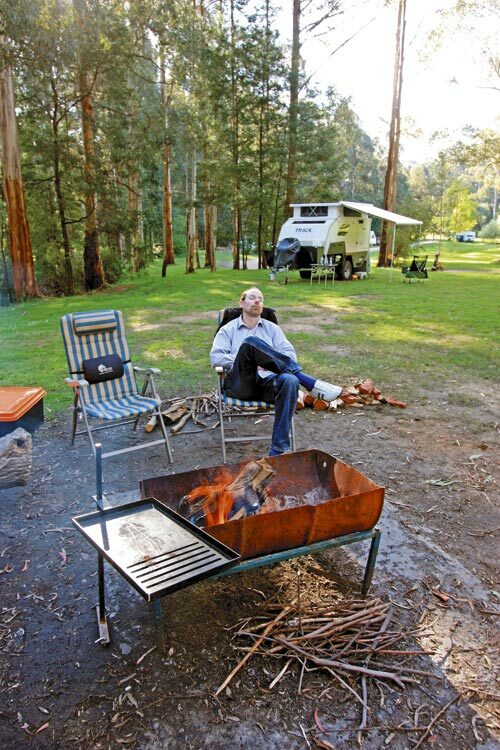 Camping costs $25 per night for two people plus $12 for extra adults and $8 for kids aged 5-16 years. > Phone (03) 5165 3210 or email caringal.bookings@gmail.com for more information. > The Walhalla Adventurer Tourist and 4WD Map by Adventurer Maps has a scale of 1:20,000 and costs $10 including postage. 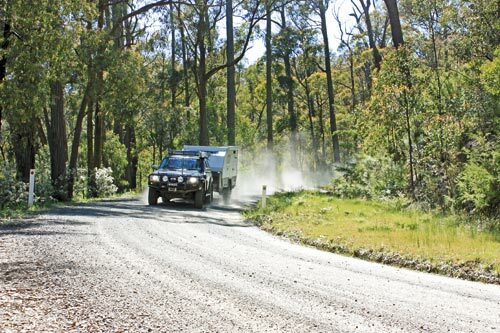 Visit www.adventurermaps.com.au/maplist.htm for information or to purchase online. 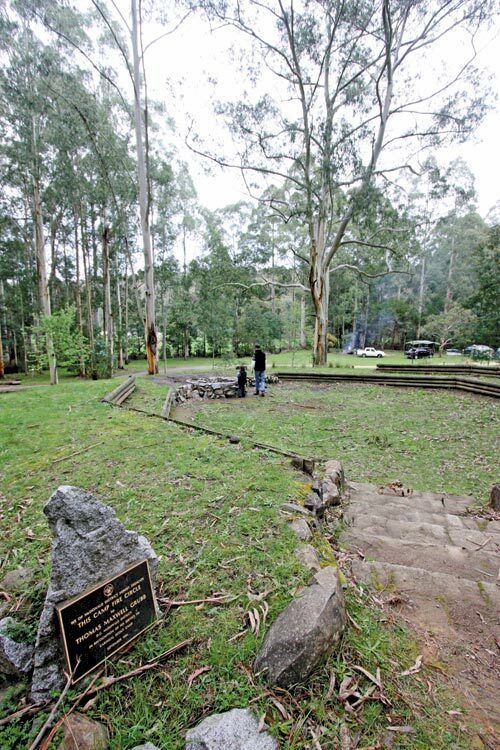 > The Walhalla Goldfields Railway costs $30 for a family one-way or $50 return. Phone (03) 5165 6267 or visit www.walhallarail.com.au for more information. 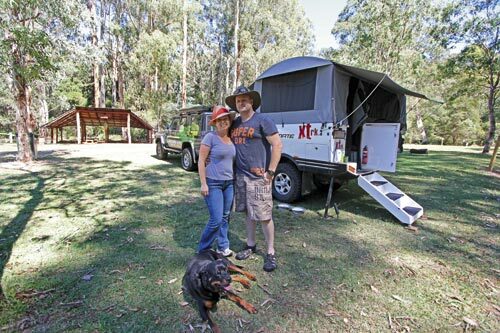 Originally published in Camper Trailer Australia #64, April/May 2013.